Sebastian Coates has completed his loan switch from Sunderland to Portugese giants Sporting Lisbon. The Black Cats accepted a bid from Sporting earlier this week for Coates and the defender has now joined the Portugese side on loan until the end of the season, with a view to a permanent transfer next summer. Coates arrived in Portugal last night to be met with television cameras at Lisbon airport. The Uruguayan international completed a medical and agreed personal terms with Sporting, before completing a move which could see Sunderland recoup more than £3m if he is sold next summer. Coates' exit has allowed Sunderland to finally complete the signing of Ivory Coast international Lamine Kone at the third time of asking. Kone was unveiled by Sunderland last night after rubber-stamping a £5million switch from French side Lorient. 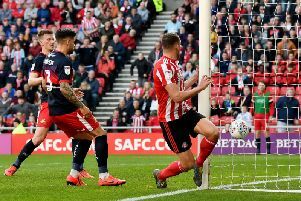 A Sunderland statement read: “Sunderland AFC defender Sebastian Coates has joined Portugese side Sporting Lisbon on loan for the rest of the season. “The 25-year old Uruguayan heads to the Portuguese capital city where he could make his debut in this weekend’s home game against Academica. “Coates arrived at the Stadium of Light in 2014, on an initial loan deal from Liverpool, before making the switch to Wearside permanent last summer.